Rabies is a viral disease that affects the brain and spinal cord of all mammals, including cats and humans. The virus is transmissible between from living animals to people, so it is considered a “zoonotic disease.” The virus is generally carried by groups of wild animals that vary based on the geographic region and can include skunks, bats, raccoons, foxes, along with feral cats and dogs. The virus is most commonly contracted through a bite wound from an infected animal. The risk for contracting rabies runs highest if your cat is exposed to wild animals. 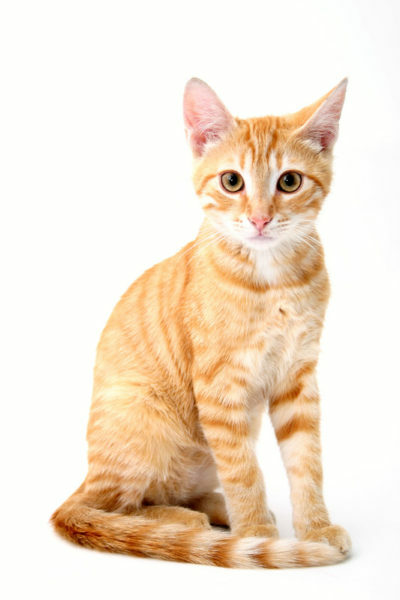 Unvaccinated cats who are allowed to roam outdoors are at the highest risk for rabies infection. How Can I Prevent My Cat from Getting Rabies? Rabies can be effectively prevented through vaccination (vaccination is required by law in many areas). General guidelines state that cats should be vaccinated for rabies at 3 months of age, revaccinated in 1 year, and thereafter every 1-3 years depending on the product guidelines and local requirements. Consult your veterinarian to confirm these guidelines. Cats who are too young to be vaccinated should be kept indoors to minimize their risk of exposure. What to Do if Your Cat Interacts with a Potentially Rabid Animal? Put gloves on to protect yourself from infection. Contact local animal control officers to safely apprehend and remove the rabid animal. A cat who is up-to-date with his vaccinations, and who has been bitten by a possibly rabid animal, should also be given a rabies booster vaccine immediately by your veterinarian and kept under observation for 45 days. If you think you’ve been bitten by a rabid animal, see your doctor immediately! Changes in behavior such as aggression or restlessness are often the first signs to be seen. Sometimes these behavior changes are also accompanied by muscle tremors, fever, weakness, or incoordination. These signs often last only for a period of 1-2 days. As the viral infection progresses, muscle paralysis develops, which may be accompanied by increased vocalizations or change in voice, followed by death. Post-rabies exposure treatment is not recommended or sanctioned for cats in most countries, which makes prevention vaccination all the more important. If you suspect your cat has been exposed to the rabies virus, contact your veterinarian or state health department for more information. There is no treatment or cure for rabies once symptoms appear. The disease unfortunately results in fatality. There is no accurate test to diagnose rabies in live animals. The direct fluorescent antibody test is the most accurate test for diagnosis, but it can only be performed after the death of the animal.